Gen Z. The 18-24 year old age group that marketers are tripping over themselves to entice. The generation that is shaping the future face of retail, digital and social media. In turn, heavily influencing NPD and business strategies in all industries. Indeed, report cofounder Molly Logan highlights the no-nonsense mindset adopted by this group from an early age, stating, “Ruthless does not mean unscrupulous or callous. It is much more Darwinian and practical. 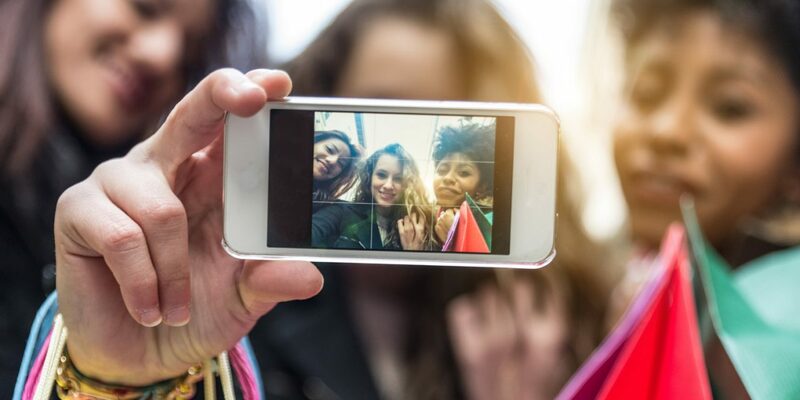 For anyone trying to reach Gen Zs, be prepared to be embraced, dropped and embraced again.” A statement easily putting the fear of god into all brands putting their eggs into the Gen Z basket. But of the industries that are being embraced by the influential consumer group, it seems that it’s our wonderful world that is coming up trumps. Whether we’re being embraced, and then dropped, and then embraced again, according to a recent report by PiperJaffray, Taking Stock With Teens, it seems the demographic is, in fact, contributing $830 billion to US retail sales annually. More importantly, the influential consumer group is said to be choosing beauty purchases as their splurge of choice, after lining their stomach of course – I mean, didn’t we all make food our main aim at that age? Gaining share it is, with the sector setting a new high with female shoppers said to be spending $368 per year on the category, up 18 percent, led by skincare. And the retailers winning out? You guessed it, Sephora took the top spot at 44 percent, followed by Ulta, Target, CVS and Walmart at 28, 11, 3 and 3 percent respectively. But just why is beauty emerging victorious, and should we as an industry all be rubbing our hands together in glee? According to Chloe Combi, an expert on this demographic and consultant to PZ Cusson, the answer is yes, “This young consumer is still figuring out who she is; she uses beauty as her playground for self-expression and she’s loving every minute (if not hours) of it. And with empowerment being a buzzword of 2018, it seems that Gen Z’s early bond with the beauty industry could be the start of a beautiful friendship.